Singer has released their new Porsche 911 Reimagined creation. Now Singer 911s are known for using some of the finest materials possible to create their creations built off a Porsche 964. Unlike some other builds, Singer keeps away from less desirable parts such as fiberglass and uses materials like carbon fiber. Of course this means that their machines have a hefty price tag. In the past this was somewhere around $250,000 and up to about $500,000, but this new car takes it to the next level. The new Porsche 911 Reimagined by Singer has an astronomical starting price of $1.8 million. For this you get plenty of carbon fiber, including in the engine and better aerodynamics. There are also magnesium mechanical parts and the air-cooled flat-six is 4.0-liters. The interior is a work of art. Touches like gold on the instruments and the visible shifter linkage helps set it apart from the usual. The lightweight project is a result of a partnership between Singer and Williams. At $1.8 million, just a handful will be built and those are sure to be coveted for years to come. 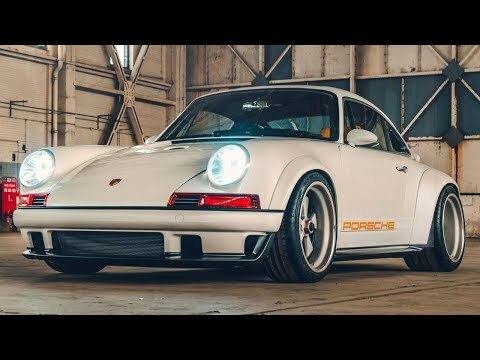 Check out the below video and see all the details of the new Porsche Reimagined by Singer. We also want to hear if you think this will affect Porsche 964 values as it means less original cars will be on the road.